From the pages of the hit comic Saga, comes the latest action figure set from Skybound and McFarlane Toys, The Will and Lying Cat. These fan favorite bounty hunters are going to be available at the Skybound booth (2729) at SDCC. Check out in-packaging pics after the jump. Oh man this might be my favorite exclusive so far this year. 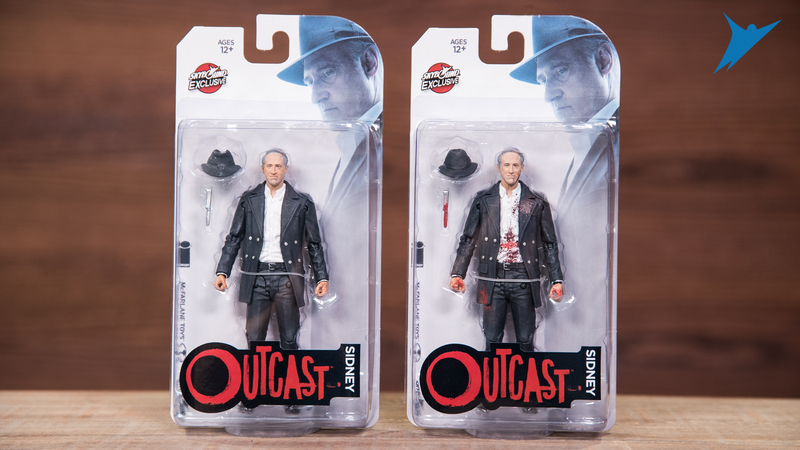 I LOVE the show Outcast, been bummed to think we'd only ever get Kyle Barnes figures (both clean and bloody variants) and I was ok with that but this Sidney figure looks fantastic. I'll def be getting this. 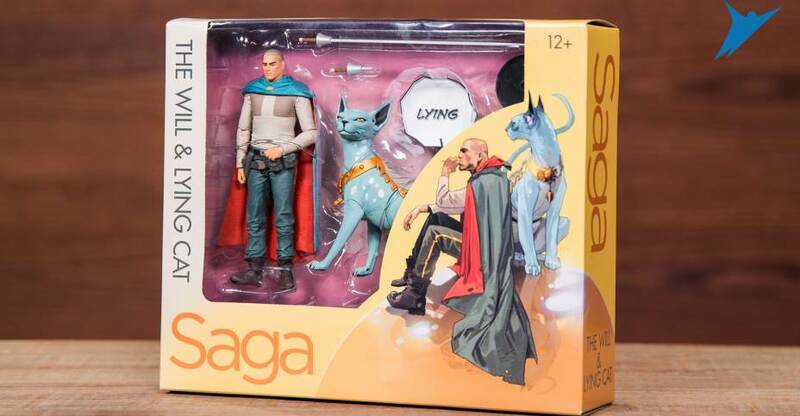 Even though I don't collect anything else in that scale, I picked up the Saga set last year and absolutely love it. Will have to try to track this one down, as well. When I saw the headline, I was really hoping it was an announcement for Saga Color Tops, though.